I really love my NutriBullet. I have come up with some uses for the NutriBullet’s milling blade. Go ahead, give those links a click and read past posts. Then come on back here and see what I am up to now! 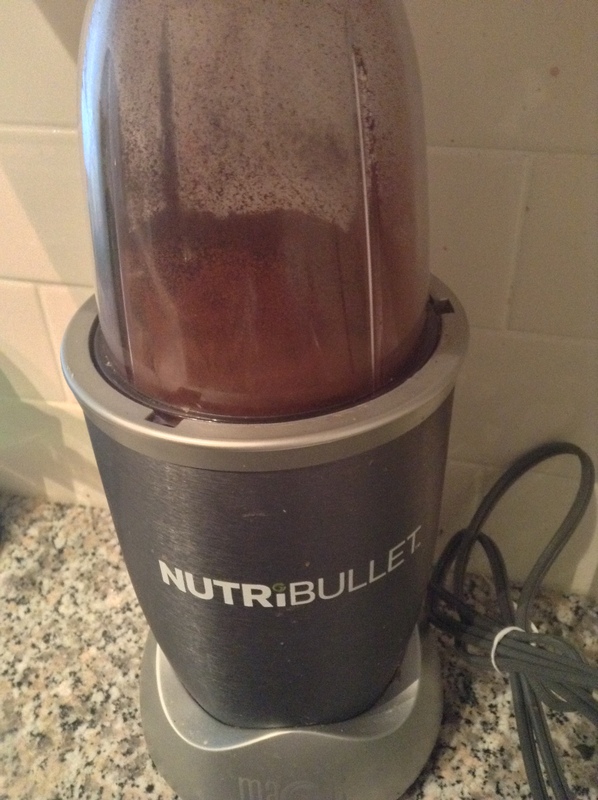 It has been way too long since I posted about my beloved NutriBullet, don’t you think? A few people have asked, yes I am still going strong with it. I use it a few times each and every day. So much so , that my blades got a bit dull. If you have purchased or are thinking of purchasing a NutriBullet KEEP YOUR RECEIPT. I chucked mine when I was sure I was keeping it. If I had held on to it , I would have received a new blade for free , but because I had tossed it , I had to pay. It was only $12 for a new blade though , so I didn’t mind. Also, NutriBullet let me know that the blades are now stronger and sharper than they were when I purchased my unit, so it was a good idea to get one of the new ones. My milling blade is still going strong and did not need replacing. For those of you who don’t know, the NutriBullet comes with two blades. One has four prongs and is called the extractor blade. 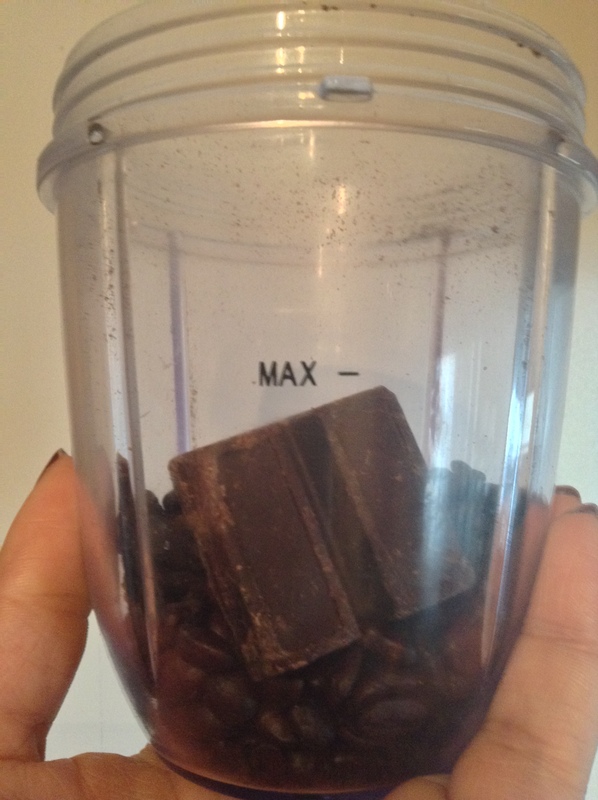 This is what I use for most of my blasts (NB lingo for anything made in the bullet) . It is meant for breaking through tough seeds, thick stems and tough skin so it works very well for juices with fresh fruits and vegetables of a variety of textures. I also have no problems adding nuts and ice to blasts using this blade. The second, 2 pronged blade is the milling blade. The milling blade is ideal for milling grains, chopping fresh herbs and chopping nuts. I have been doing some more milling blade experimentation and I have discovered another fantastic use for it…flavoured coffee and tea! Sure, you could purchase flavoured coffee and tea , but flavours are just so much more pungent and robust when you do it yourself. Plus, you can ensure there are no artificial flavours or additives. Also, let’s face it…it’s more fun to do it yourself! 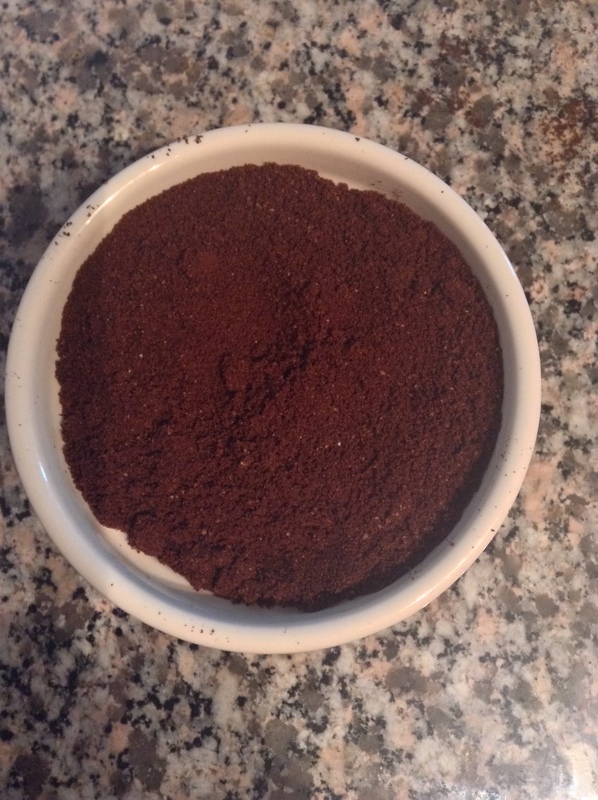 A popular question is ,”Can you use the milling blade to grind coffee?” Yessir, you sure can. Just pop some beans in the cup , throw on the milling blade and give it a blast. 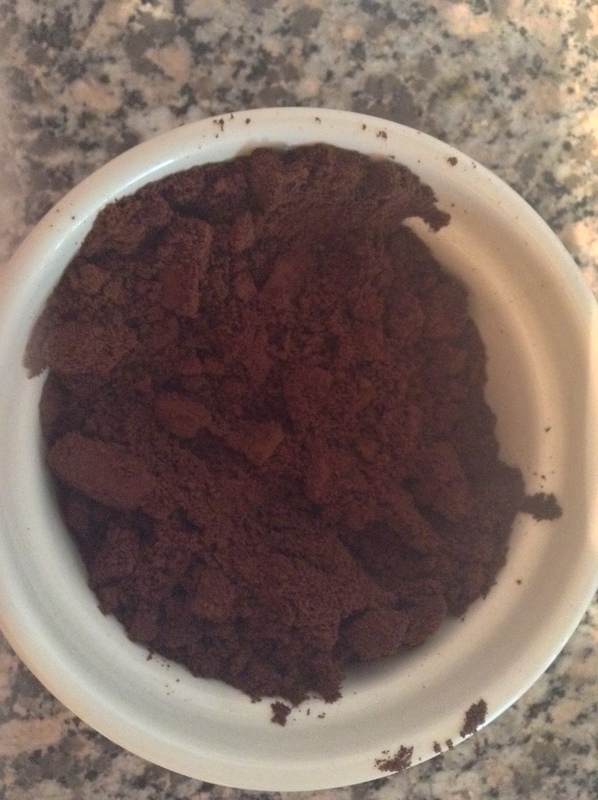 How nice it is to make coffee with super fresh ground beans every morning, and who doesn’t love that smell? Ahhh. But, you know I’m not one to stop there right? Let’s kick it up a notch. I have been playing around with some of my favourite flavours to make delicious flavoured coffee. Try all of your favourite ingredients for a delicious roast. I love hazelnut coffee. 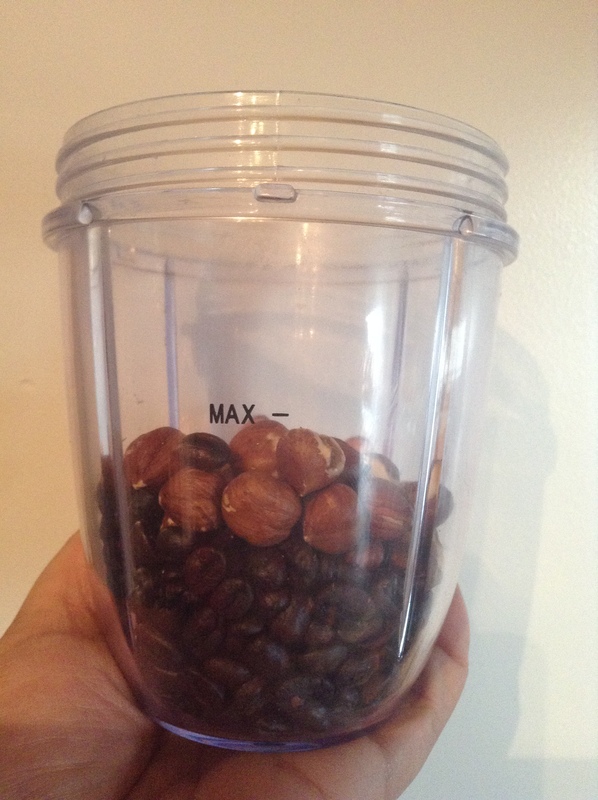 Something about the flavour of roasted hazelnuts just compliments a cup of Joe so well. 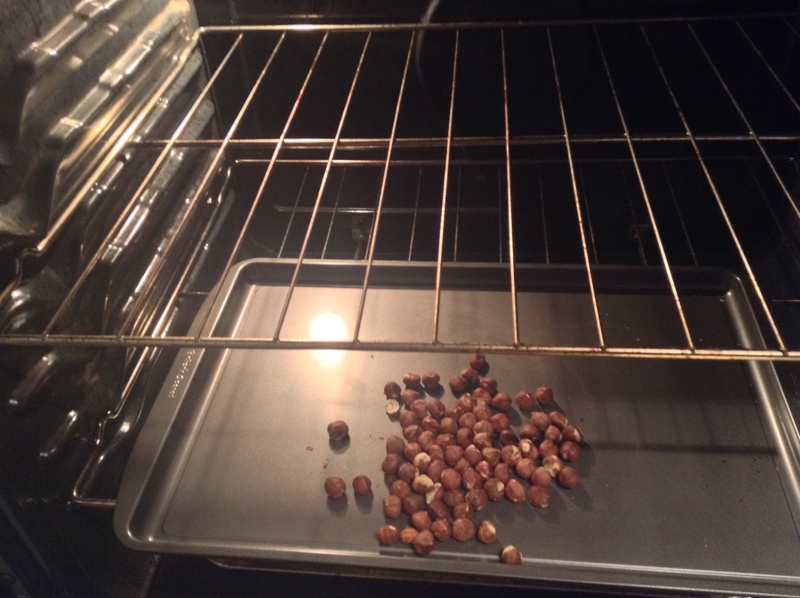 I begin by roasting some hazelnuts in the oven for about ten minutes to bring out their flavour. 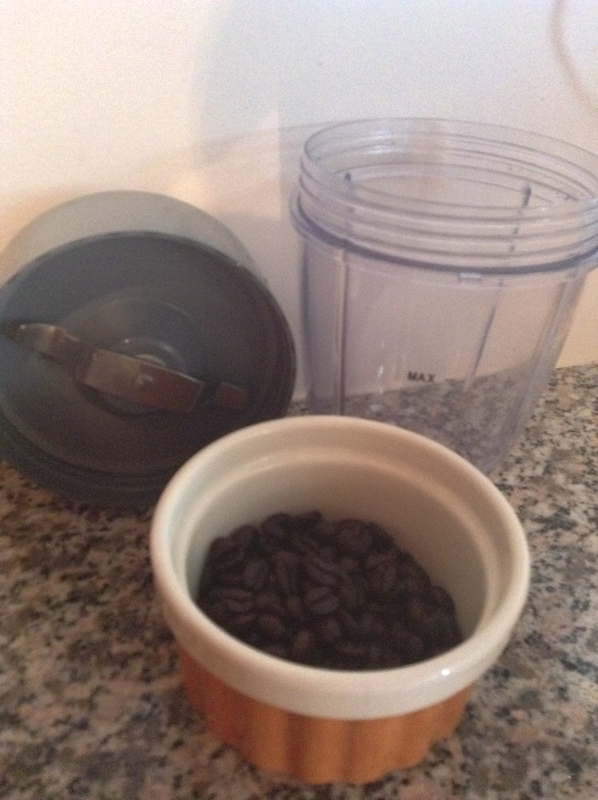 After they have cooled, I put them in the NutriBullet cup and pulse them with the milling blade and some coffee beans. Voila, hazelnut coffee. 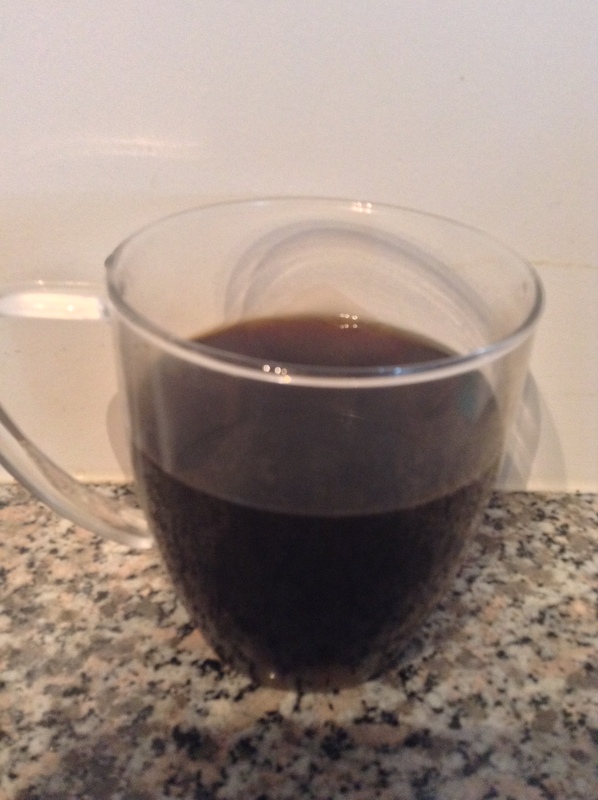 Just brew as usual using your coffee maker’s specifications and enjoy! 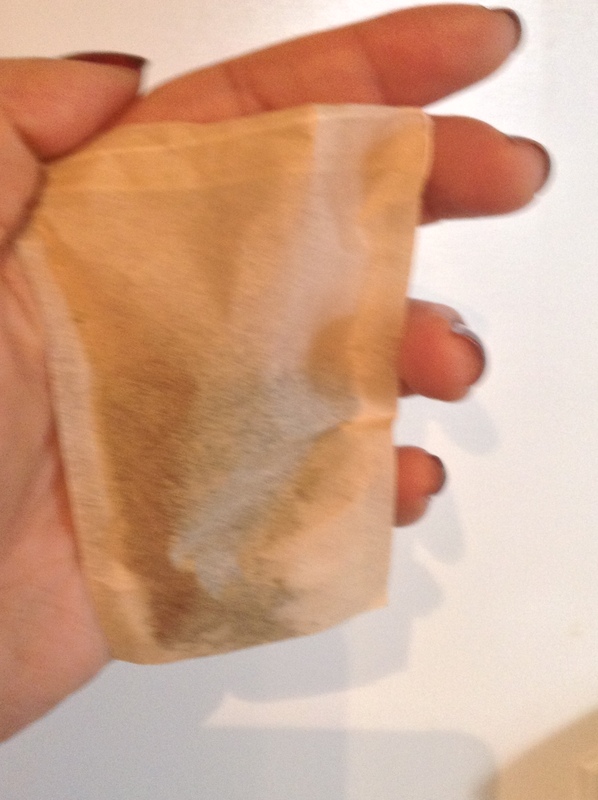 How yummy are chai spices? 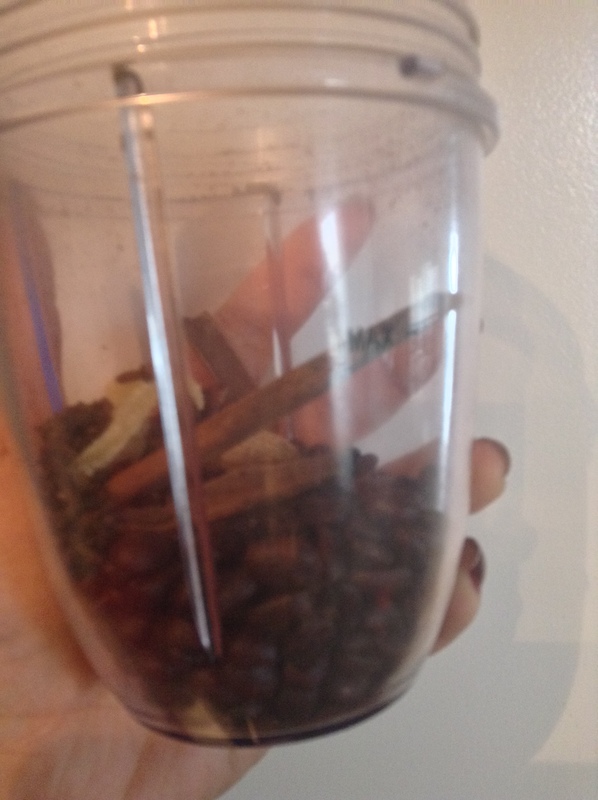 I make my own chai spice blend using cinnamon, cloves, ginger and nutmeg. These just the spices that I happen to enjoy. Again, just give them a blast with the milling blade and some coffee beans and you have a delicious chai flavoured coffee. Coconut is one of my very favourite flavours on Earth. I truly can’t go wrong with ANYTHING coconut flavoured. Just so delicious. 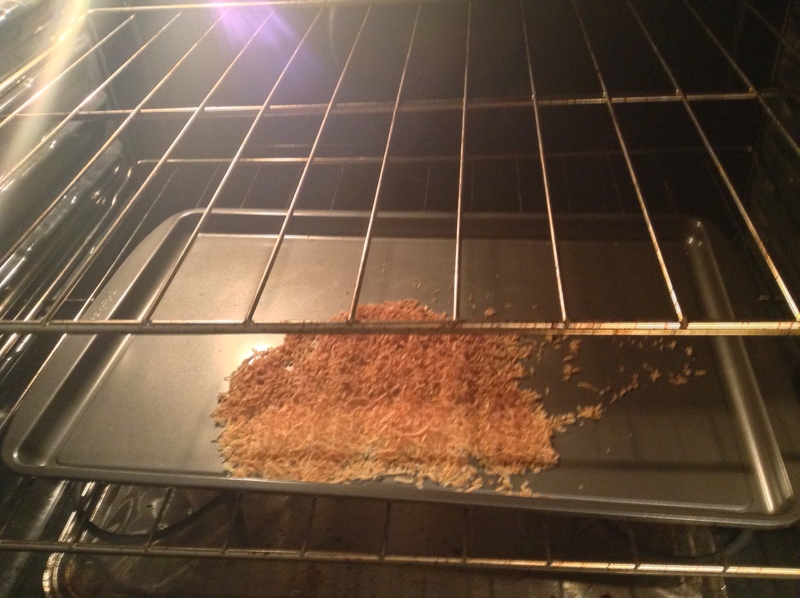 I begin with unsweetened , shredded coconut. Although it is not necessary, I put it in the oven for about ten minutes because I really believe it enhances the flavour. Then I add some to coffee beans and pulse with the milling blade. 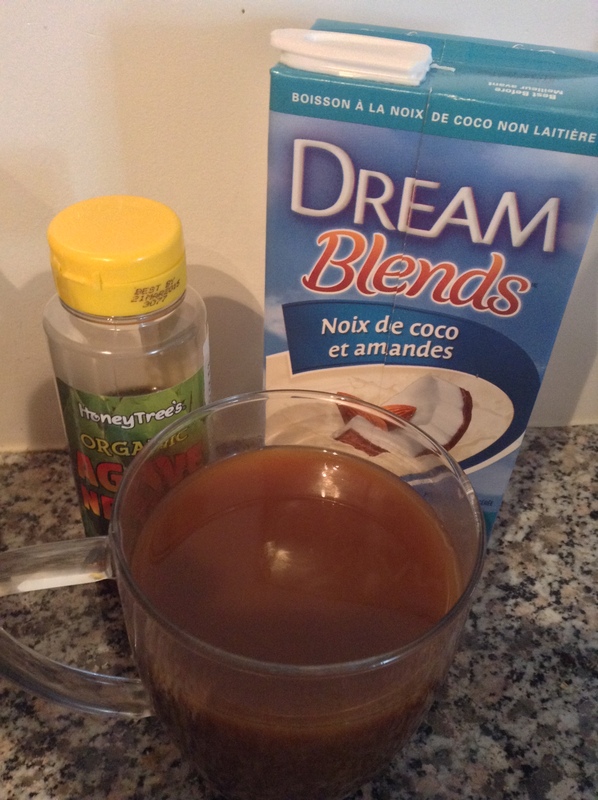 After brewing coffee as usual,you can add coconut milk, or coconut almond milk and sweetener for a real coconut lover’s treat! I saved the best for last. 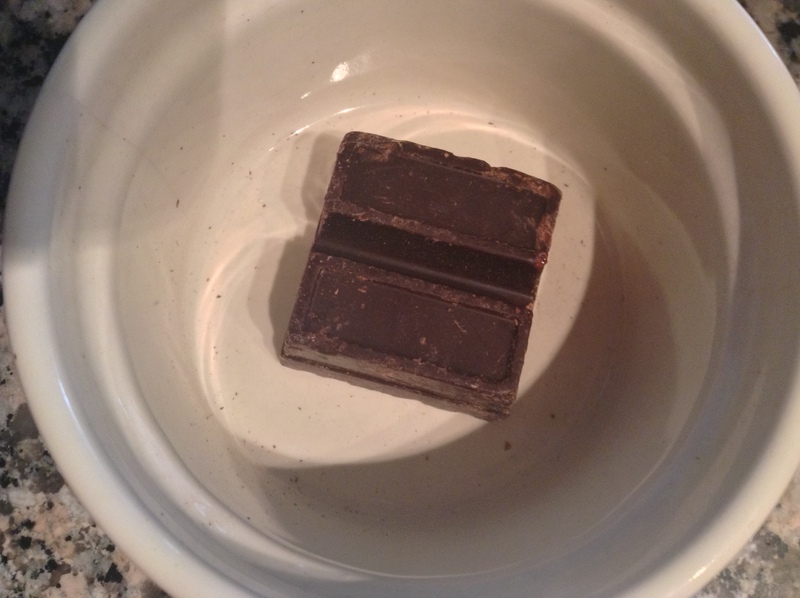 Dark unsweetened chocolate is one of my favourite coffee additions. The strong dark chocolate really holds up well to the coffee and gives it a subtle rich chocolate flavour. 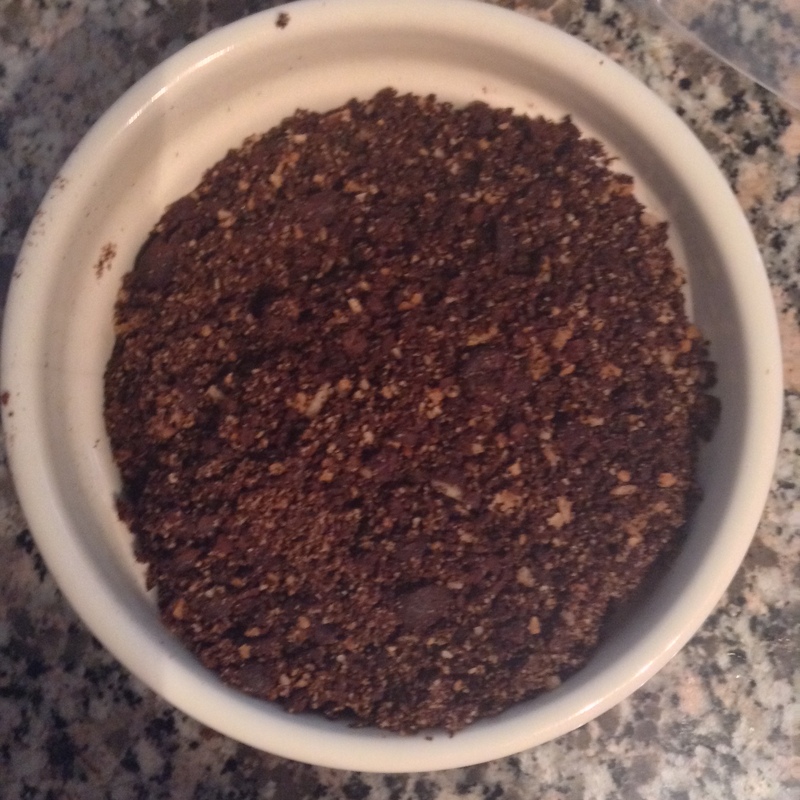 Because I buy the chocolate in large chunks, I find it needs to be milled a bit longer with the coffee beans. Again, these are just some of my go-to flavours. I encourage you to experiment with yours and please share your creations in the comments. The flavours can also obviously be combined. Vanilla hazelnut coffee, anyone? How about chocolate chai? NOM! Not a coffee drinker? All of the above flavor suggestions can be brewed as tea. 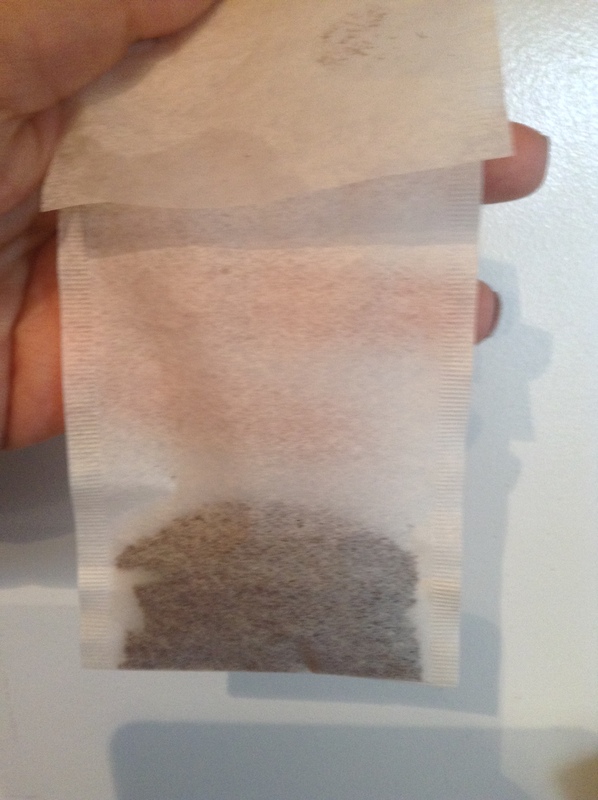 You can purchase teabags from any tea shop or healthy grocer. 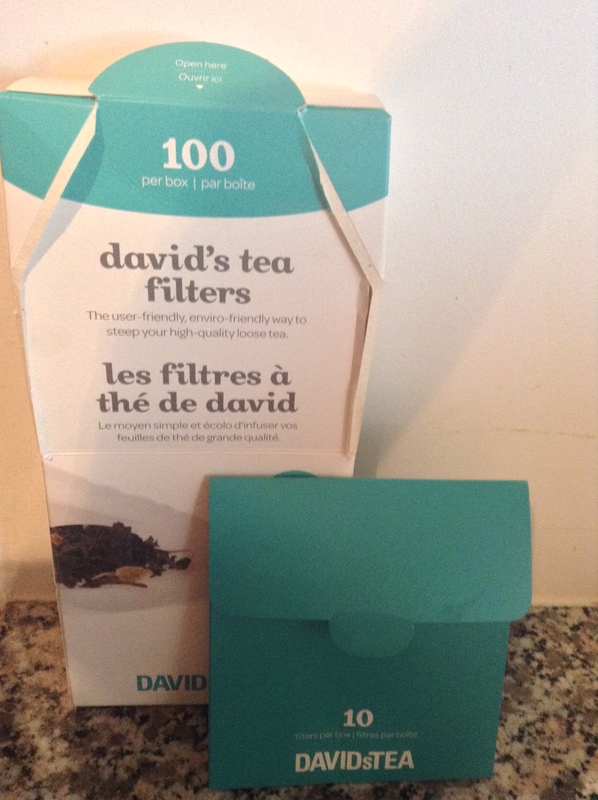 I purchased mine from David’s Tea in Toronto. 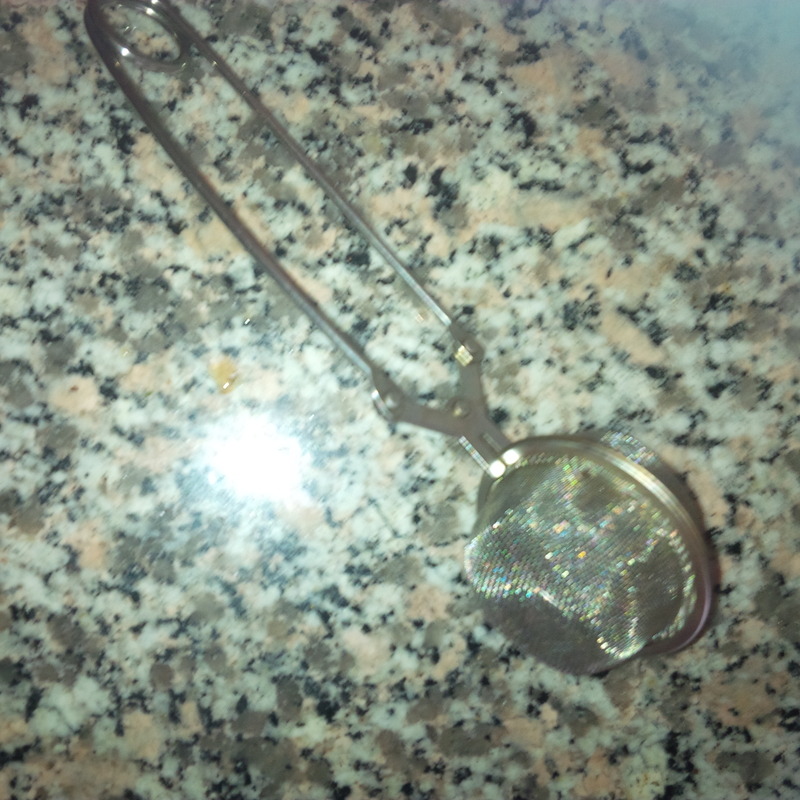 You could also use a tea ball or strainer. 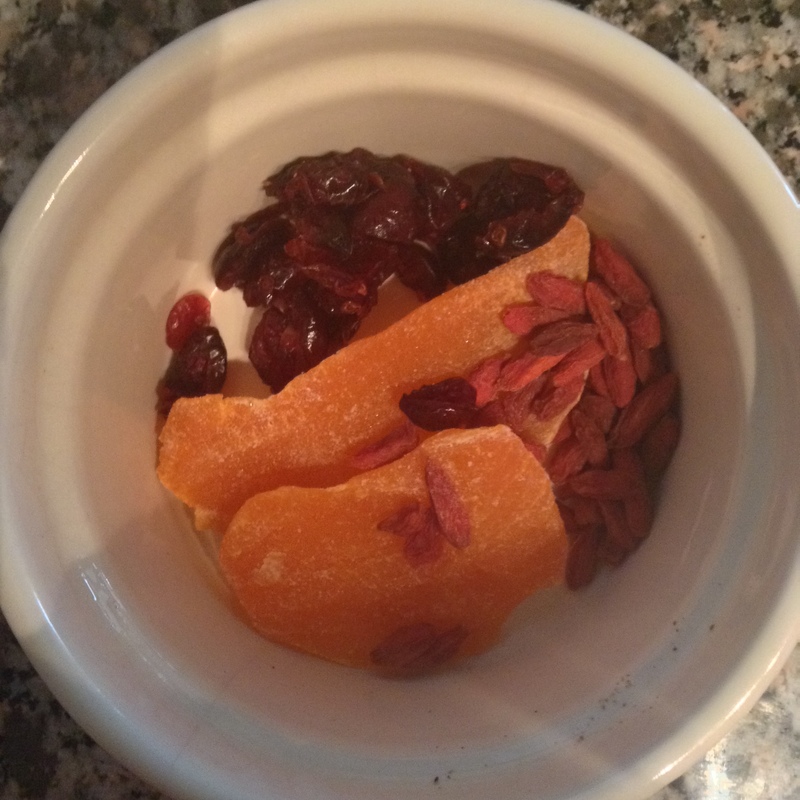 Any dried fruit can be milled and mixed with tea leaves. 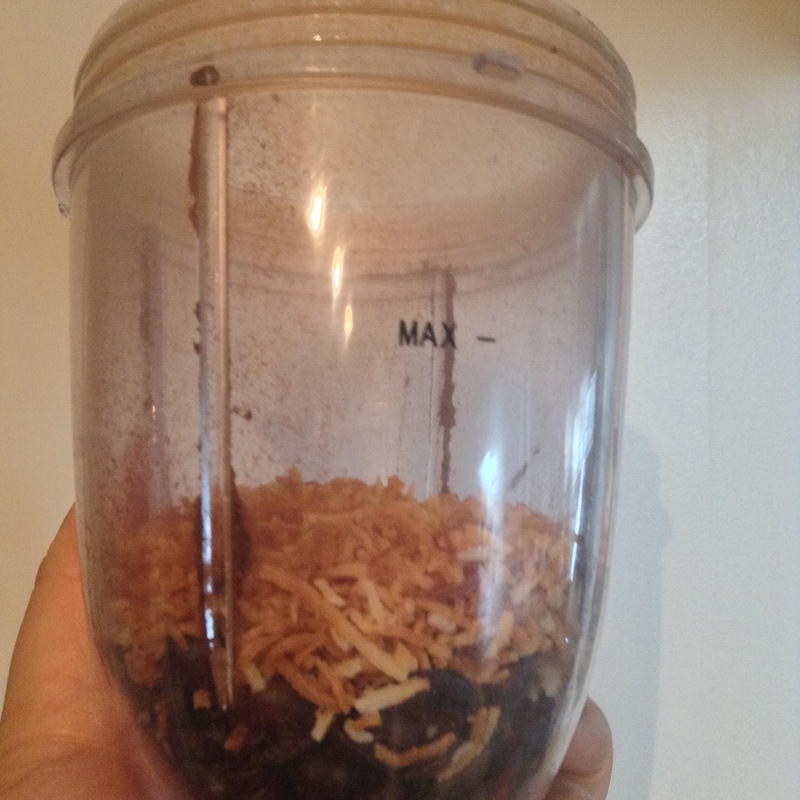 Here, I milled some dried mango, goji berries and cranberries in the NutriBullet. Then I added some green tea leaves that I purchased from a bulk store to the fruit. 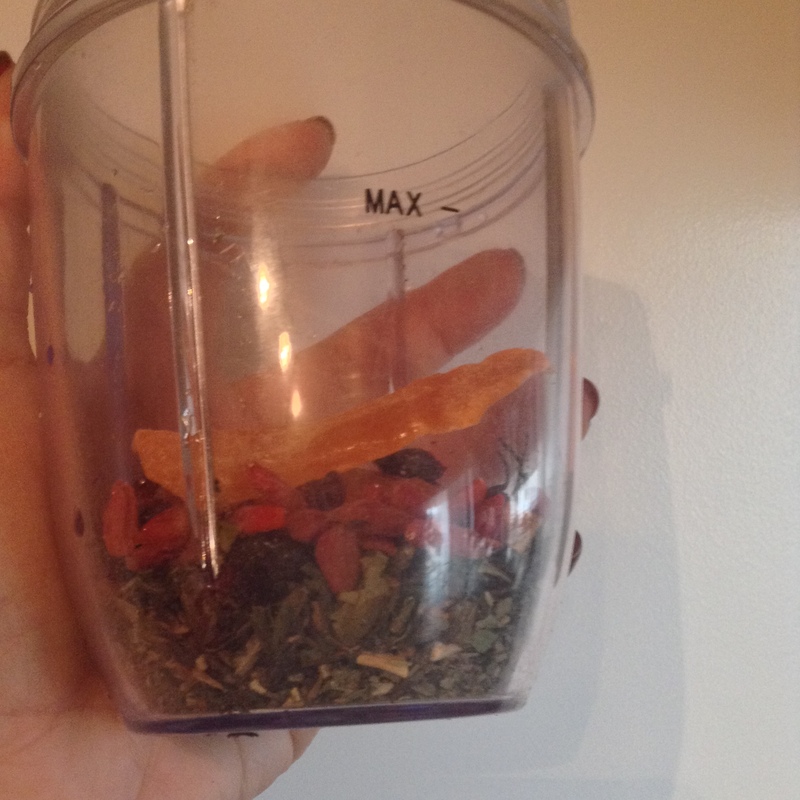 I pulsed the mixture a few times with the NutriBullet , then added it to a teabag and brewed with boiling water. As always with the NutriBullet, you are only limited by your creativity. I have shared some of my favourite concoctions, but play around with some of your own ideas and ingredients for new favourites. If you give this a try, please share your recipes and experiences in the comments below. It’s not weird lol I do the same thing with my coffee beans! If something smells good I’m always willing to give it a try! 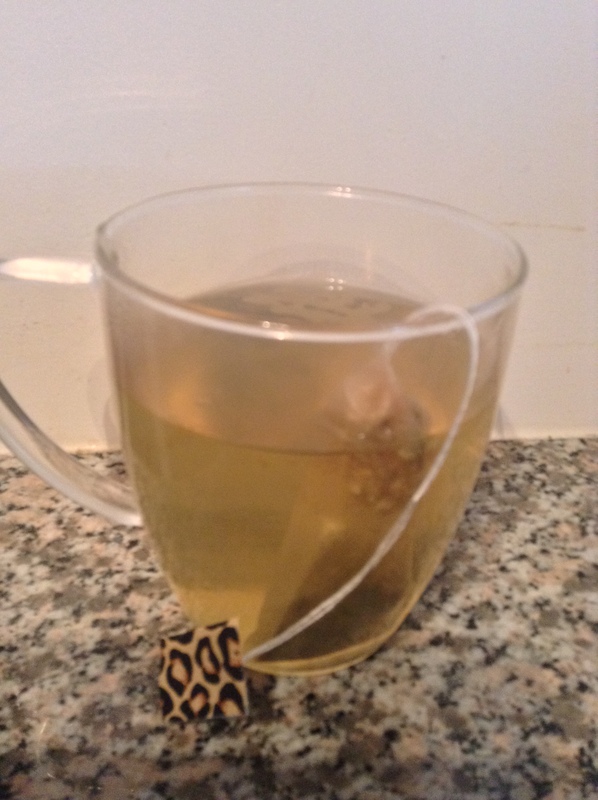 Are those leopard print baggies and tea bags I spied in that pic?! That is amazing. These are such great ideas, I can’t wait to try them in my not-as-effective Magic Bullet. Have you tried adding cardamom to your chai? You can buy the whole pods and break them open and crush the little black seeds inside – so aromatic and lovely. 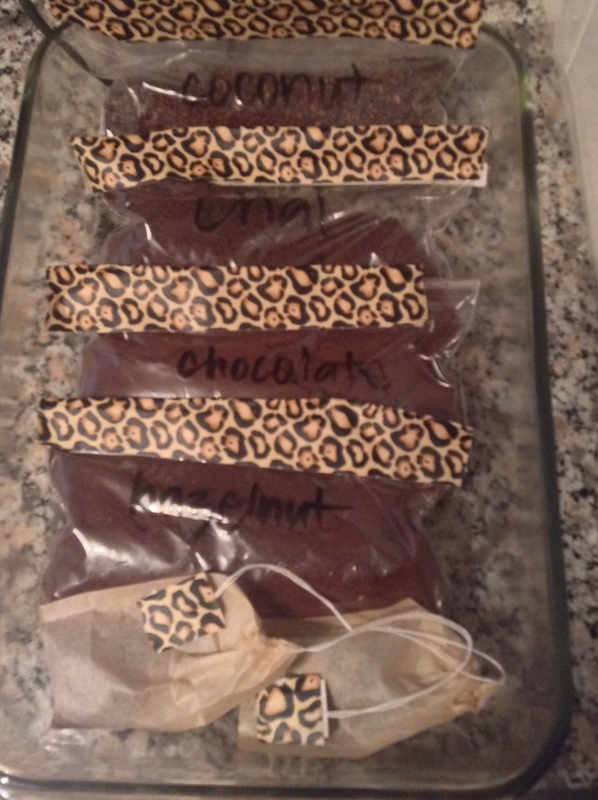 I actually made the bags by sticking leopard duct tape on regular old Ziploc baggies, and using it to cover the David’s Tea logo on the teabags I had! Awsome! I just got one fresh out of the box and this was my first question. 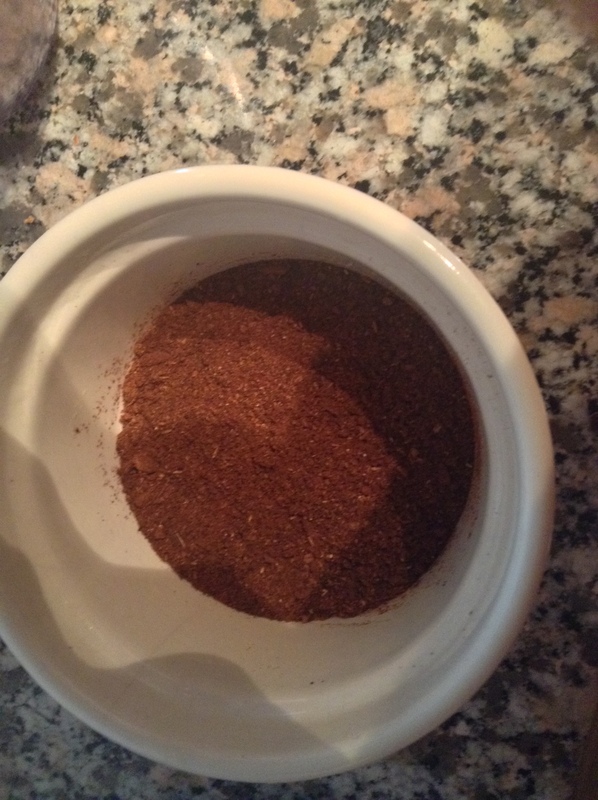 I have been grinding my own spices mortar and pestel up until now. I make tea out of any spices and herbs all the time. Herbal infusions. 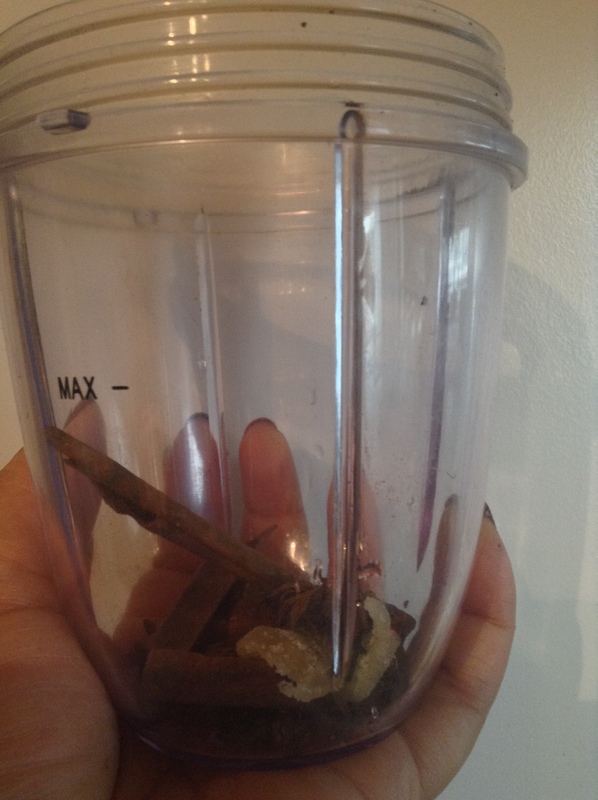 Grinding cinammon sticks is one of the hardest thing to do manually, I am so excited I am gonna have fresh ground cinammon in my breakfast sweet potato cereal now! Love the hazlenut idea!